The former San Francisco 49ers quarterback was also recently honored by the ACLU of Southern California and was named GQ magazine's "Citizen of the Year"
Colin Kaepernick receives the SI Muhammad Ali Legacy Award with Beyonce and Trevor Noah during Sports Illustrated 2017 Sportsperson of the Year Show on Dec. 5, 2017, at Barclays Center in New York City. 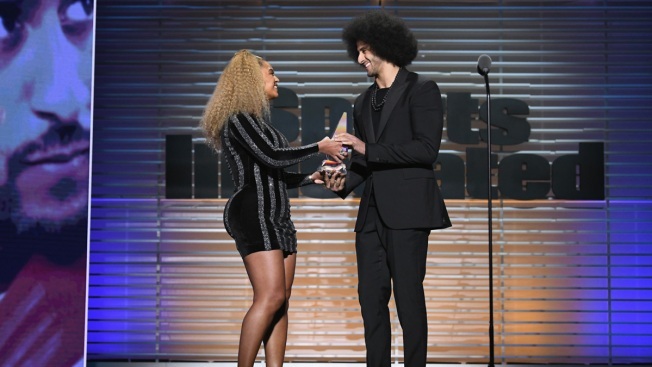 "Colin took action with no fear of consequence or repercussion," Beyonce said. "Only hope to change the world for the better. To change perception, to change the way we treat each other. Especially people of color." "He fully embraced the risk to his career in order to remind Americans of the systemic racism that was denying African Americans their opportunities to equal education, jobs, health and even their lives," Abdul-Jabbar said. He spoke Tuesday about continuing Ali's legacy for fighting social injustice, saying the boxing great "mentored me without ever meeting me." 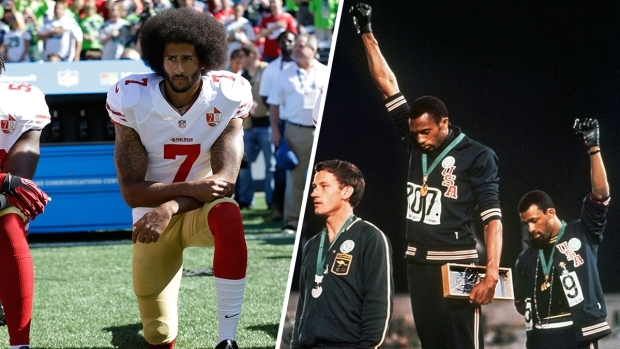 "The footprints he leaves are large," Kaepernick said, "and his life is and has been a multi-textured tapestry that is rich in love, wisdom, life lessons and human kindness. I can only hope that I'm taking steps toward walking on the footsteps that he has left behind for the world to follow."